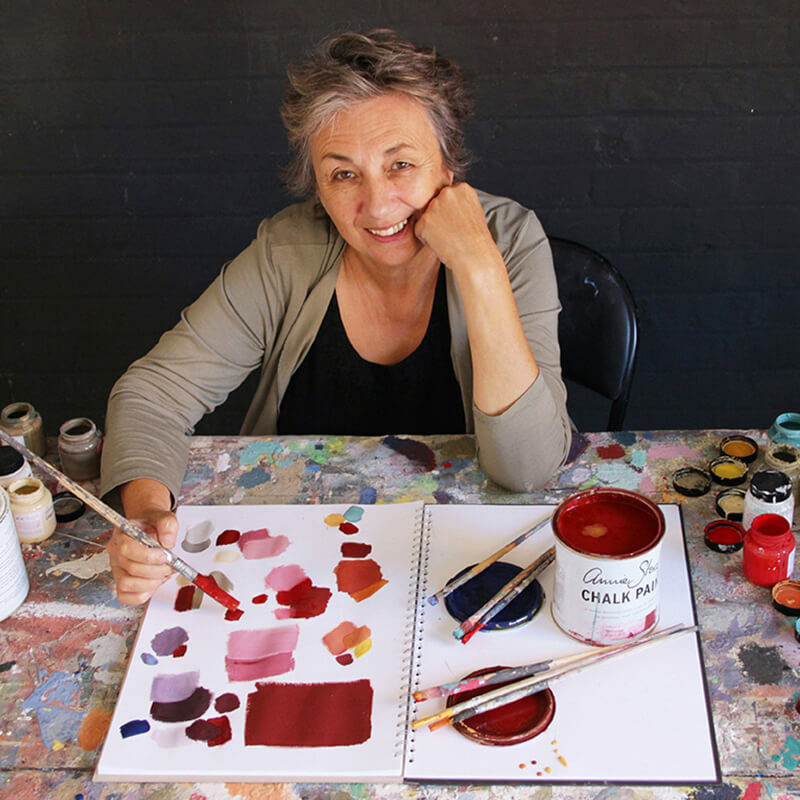 30 years of leading the decorative painting revolution makes Annie Sloan an expert in paint and colour. 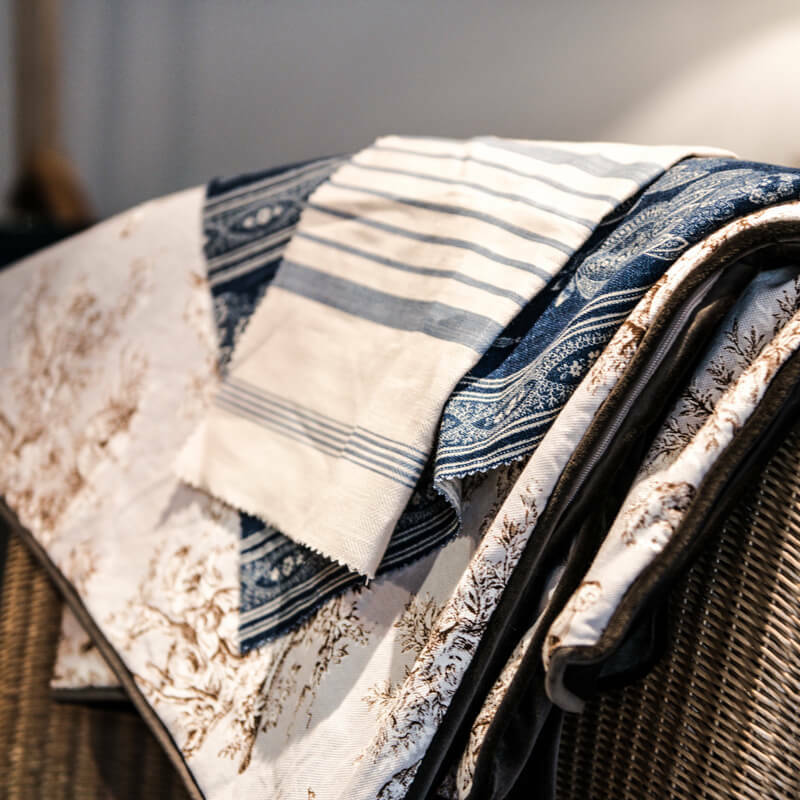 Based in Oxford, she is a keen supporter of small businesses, extending the ethos of her own family-run company to her stockists, all of whom are small independents, and who receive the benefit of her continued support and advice. Annie’s Chalk Paint® and design techniques are world-famous. Having produced 26 books on the subject, she has motivated everyone from home painter to experienced professional. 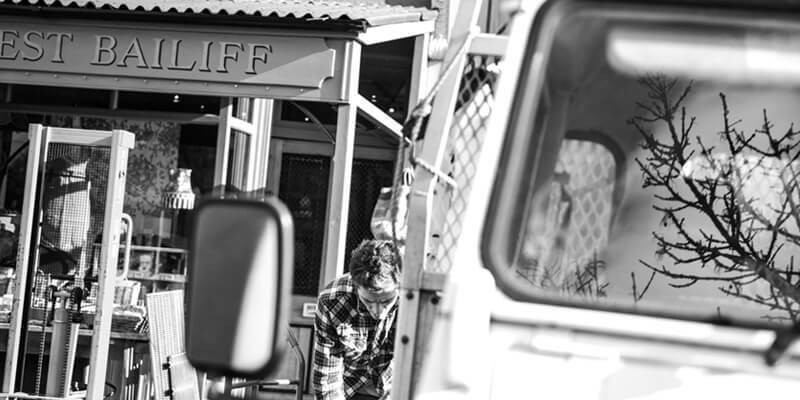 Constantly innovating, Annie continues to evolve new and wonderful ways of rejuvenating old furniture. If you are looking for a new hobby or business her paint is perfect. Trawl car boot sales, junk shops, even skips, for something you can transform inexpensively and quickly with her Chalk Paint® and easy to learn techniques, resulting in a beautiful piece others will desire. Water-based, fantastically velvety, breathable and ecological, it is possible to create a multitude of effects that can be applied easily over pretty much anything (furniture, metal, melamine, wood, leather, plastic) usually without preparation, which is a bonus for those with very busy lives. Or use one of Annie’s stencils and decorate a piece of fabric, or your wall. Chalk Paint® is easily mixable, without becoming dead or muddy. Sample pots are a perfect size for mixing, as well as for painting small items. See Colour Charts for more information. A water-based, non-toxic, matt finish household paint that is wipeable, with excellent coverage. See colour charts for more information. 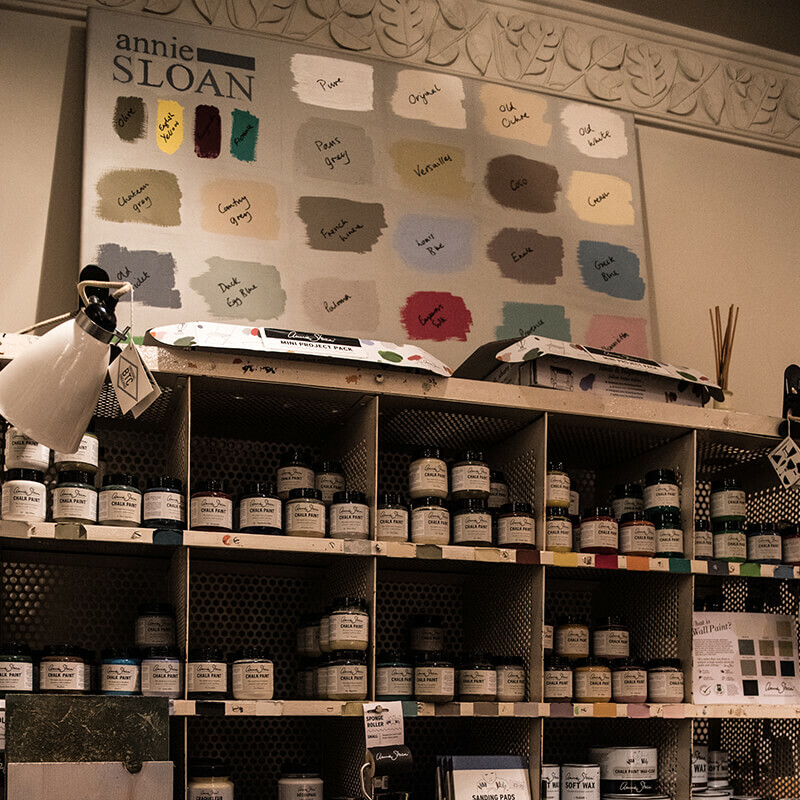 We were London’s first ever stockist of Annie Sloan Chalk Paint®, and we hold her full range of products. We also run regular, accredited workshops by fully qualified tutors, trained by Annie herself, in our studio. The first room of our shop is crammed with Annie Sloan products. As you progress through the rooms you will also find re-decoated pieces of gorgeous furniture in her different colours and finishes, to inspire your home project. Our team is on hand to help with colour choice and advise on finishes. We run regular Annie Sloan workshops for those who want to extend their knowledge and techniques. Our knowledge makes for an informative and fun selection process. 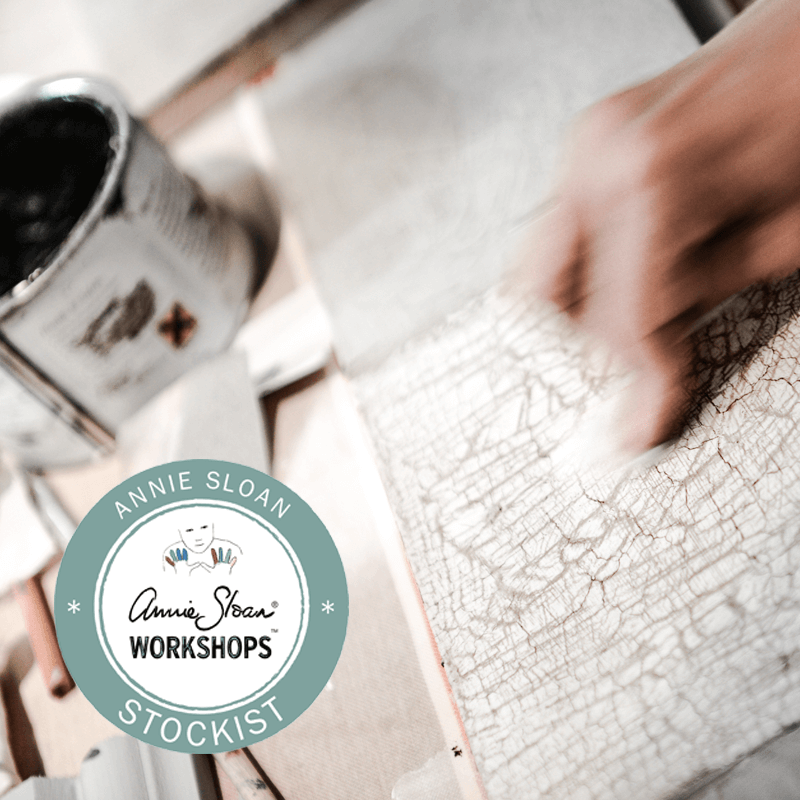 We run both Annie’s accredited workshops in The Studio, and either one will give you a comprehensive training in a number of her techniques and finishes, and provide you with the skills to get the most out of Annie’s fabulous Chalk Paint®. 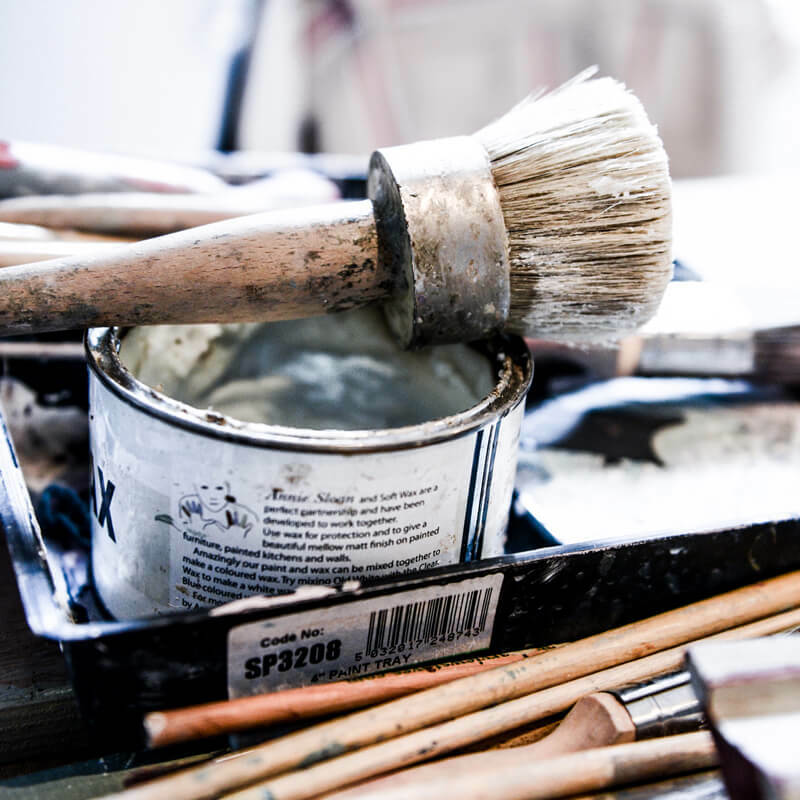 However, if you have not done decorative furniture painting before, we advise you to take Course One first. Our instructors have been trained by Annie Sloan herself. A carefully-designed collection, for applying her Chalk Paint® and Wall Paint, that makes doing anything Annie Sloan easy and fun. Building a toolkit is a lovely thing to do, but it is not vital. 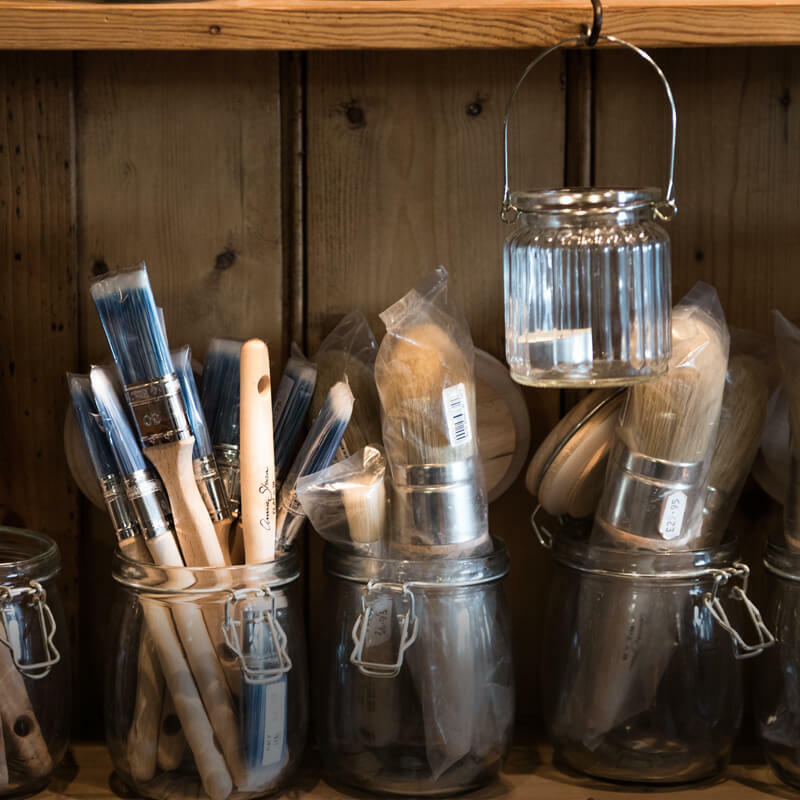 Using a rag and an old paintbrush is a good starting point for your Annie Sloan project, but should you want to do more, Annie’s brushes and tools are a great investment once you have the furniture decorating bug – we call it ‘Annie Sloaning’! 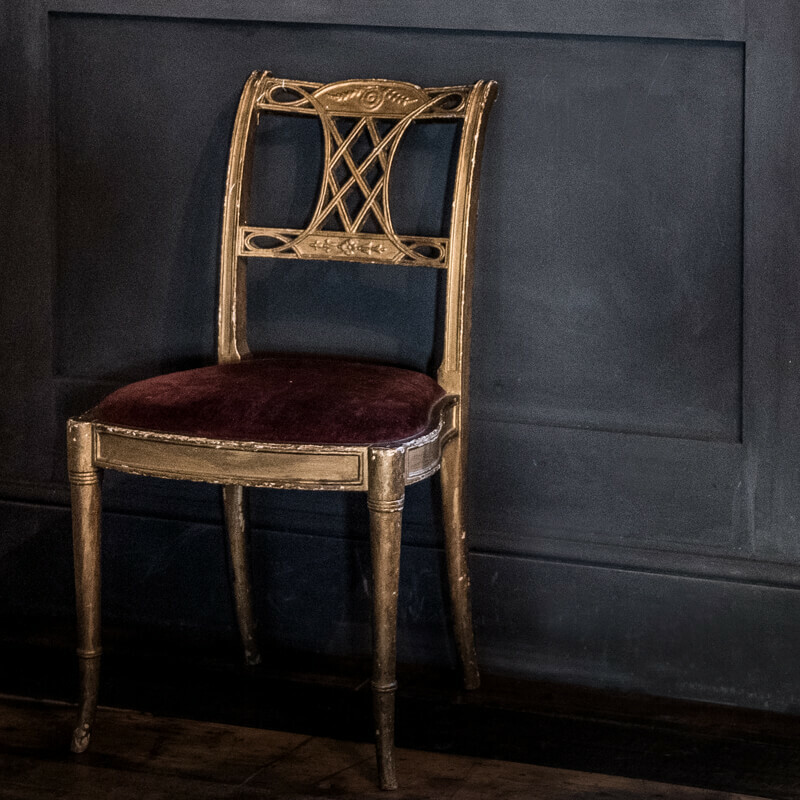 Alongside her unique Chalk Paint®, Annie Sloan has developed wonderful finishes that include everything you need to become an accomplished decorative painter. Her waxes add lustre, durability, and protect finish. Available in Clear, Dark, White and Black, as well as Coloured and Gilding. Further finishes are available for crackle varnish, gilding, lacquer and decoupage. 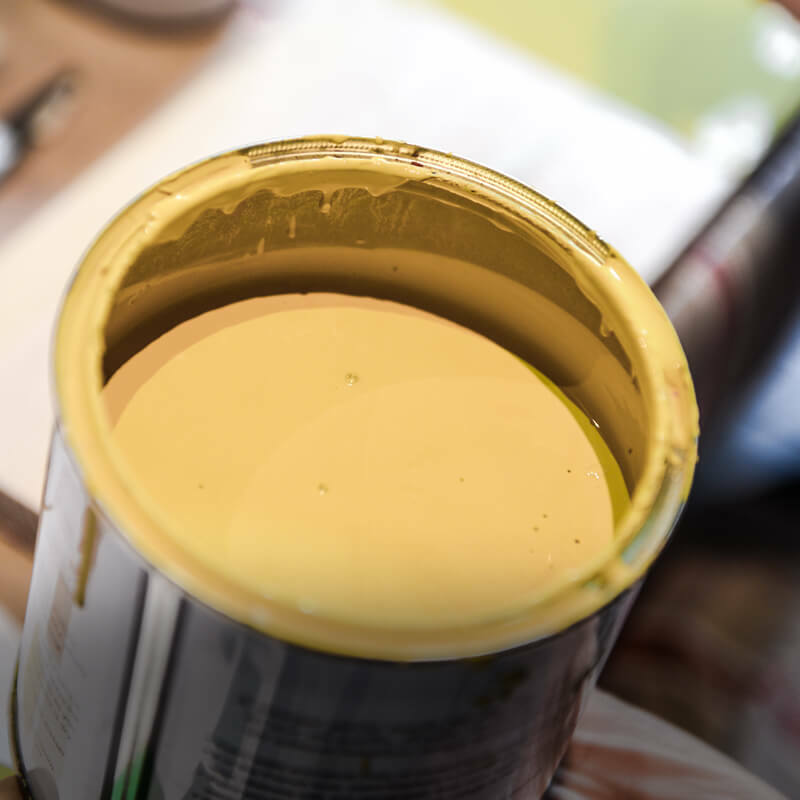 Lacquer is water-resistant and particularly useful for sealing painted floorboards and kitchen cupboards, areas where wear and tear are likely to occur. 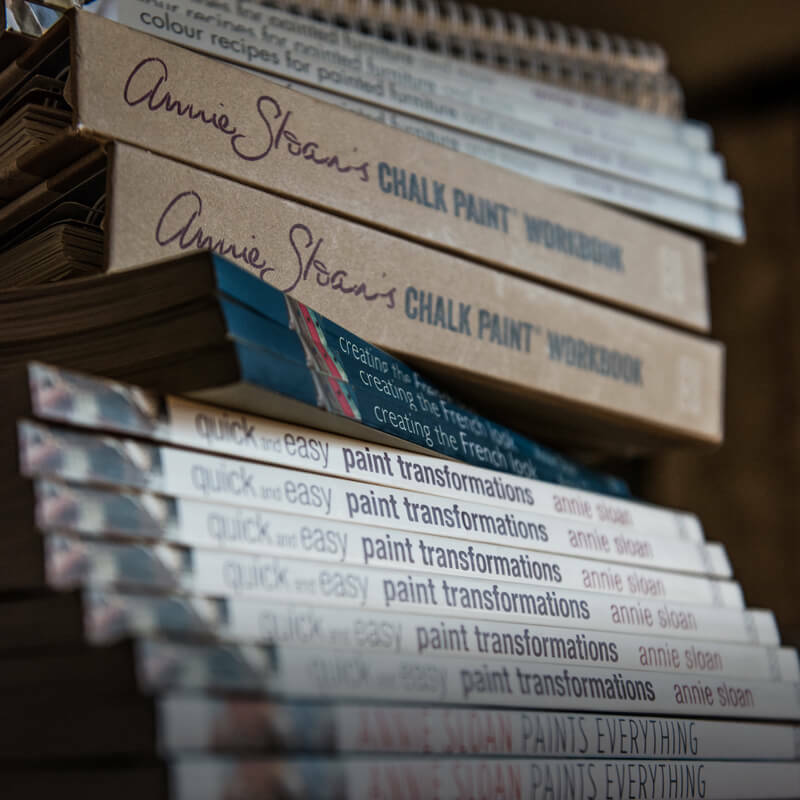 Annie Sloan has designed a versatile collection of stencils for her Chalk Paint® range. 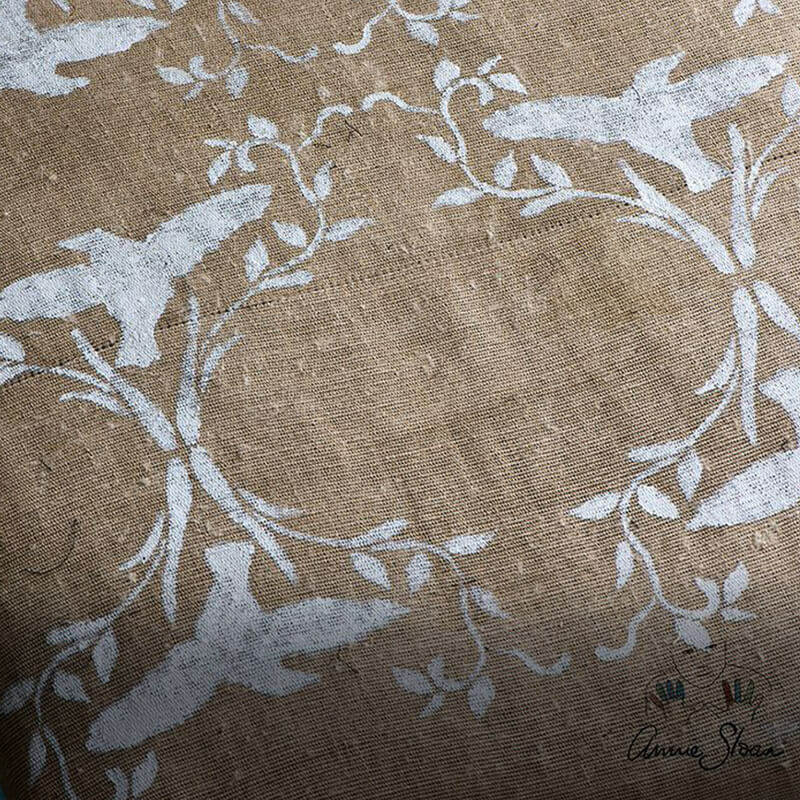 We hold a selection of her unique designs, drawn from a range of inspirations that can be used on fabric, walls (to give the effect of wallpaper), and furniture. We stock the complete range of Annie’s current books. Our bestseller is Annie’s “Paint Transformation”, a great guide for beginners. Annie’s 10 Coloured Linens have been designed to match exactly with colours from her Chalk Paint® palette. 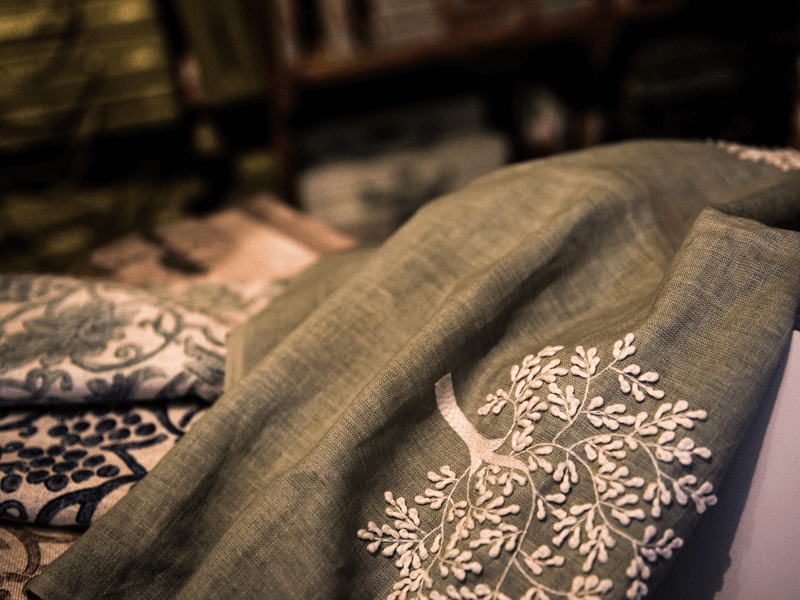 Each Linen features two colours, with the weft and warp woven together to produce a complementary effect, and tumbled, for a soft texture. Sold by the metre, Annie’s fabrics are available to order, and we hold large samples in the shop. Annie’s collection now includes metallic gilding waxes. With a choice of 5 colours to chose from, you can apply to carvings and mouldings with a lint-free cloth, brush, or even your fingers. Gilding wax can also be used with Annie’s stencils, to enhance both texture and detail. Available in Warm Gold, Bright Gold, Bright Silver, Dark Silver and Copper, in 15ml Tubes.